Christmas Treasure Train Blog Hop & Treasure Hunt!!! All aboard…The Christmas Treasure Train is leaving the station! Anitra from The MamaZone and Angie from Laughter Does the Heart Good are thrilled to be your conductors on this wild ride for gifts and cash! Visit each blog listed below and enter to win. 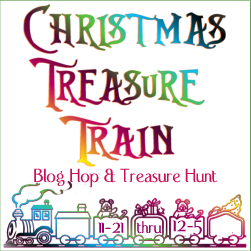 After you enter on a blog, look for the image of the Christmas Treasure Train. If the train contains a three digit code, make a note of it. Once you collect all 10 randomly hidden codes, enter here to win the Grand Prize of $100 paid via PayPal. As an added bonus, if you enter every giveaway involved you’ll earn 25 extra entries into the Grand Prize drawing (Sweet!). The hop and hunt will run November 21st-December 5th and the Grand Prize winner will be announced on the 6th. These Sterling Silver 14mm Hoop Earrings that have a retail value of $89.99!!! *Note-these are smaller than what they appear. I just received my order and they are small but cute. 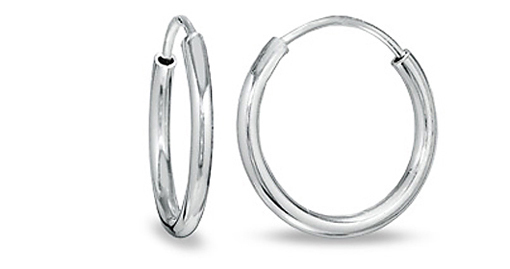 Enter in the Rafflecopter Below to win these beautiful earrings. Now, visit the other great blogs below! Hi There! I'm stopping by from the Christmas Treasure Train Hop & Hunt! I'm so excited I discovered your blog! I'd love for you to visit me at http://www.EcoCrazyMom.com and enter my giveaway. You can also add your Blog to my Blog Directory- it's located in the drop down under the "Bloggers" tab. Let's keep in touch! hopped on by, thnx 4 the chance!!! Have a great Thanksgiving & thanks so much for this fun opportunity!! beautiful earrings, thanks for the giveaway! Thank you for this great chance to win! WOW, I love those earrings! It entered one of the rafflecopter without the extra info for facebook... Stephanie Harris Olmsted. JENNIFER..that like the JENNIFER in FREANDS? She the one who is " JENNY_ O" that FLATLINER? She the one in RIPPONDEN with MOORE and STONE and CAPSHAW? She in TREASURE with CAPTAIN BLOOD? She on that FERSHIPP with RUSH and in that CULL, for SCULL!